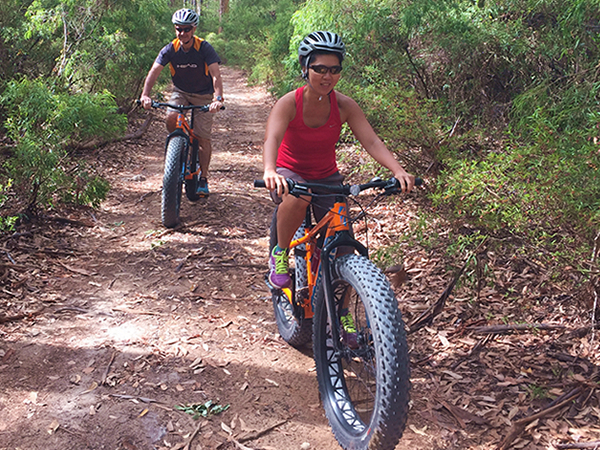 Pump up your tyres and get riding, fat bikes are the best way to see the coast and remote beaches here in Margaret River. We’ll traverse around some of the most spectacular ridgelines, beaches and coastal tracks. 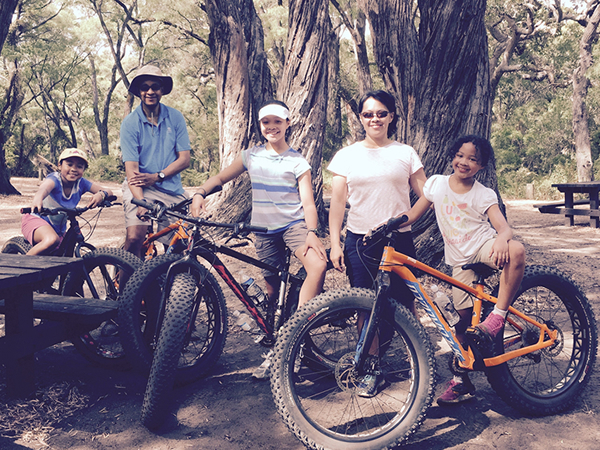 We are the only Fat Bike touring company in Western Australia! Fat bikes provide three features in hearty proportions: traction, suspension, and flotation. 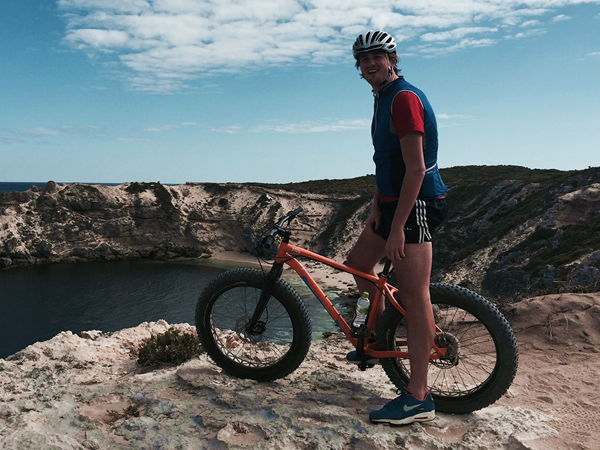 Equipped with obese tyres, our fat bikes allow unprecedented amounts of flotation on sand and forest trails. 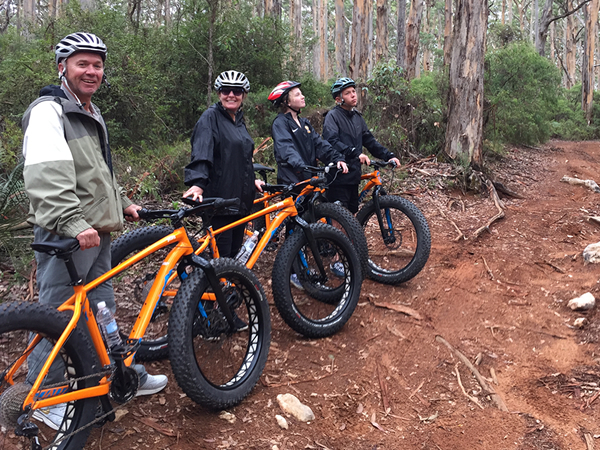 Riding a fat bike allows you to see more of the spectacular coastline and forest of the Margaret River region up close and personal. We use high quality Specialized Fatboys as our bike of choice for their lightness, quality components and proven off road ability. We have special permission from the Department of Parks and Wildlife to ride our bikes in the Leeuwin-Naturaliste National Park. 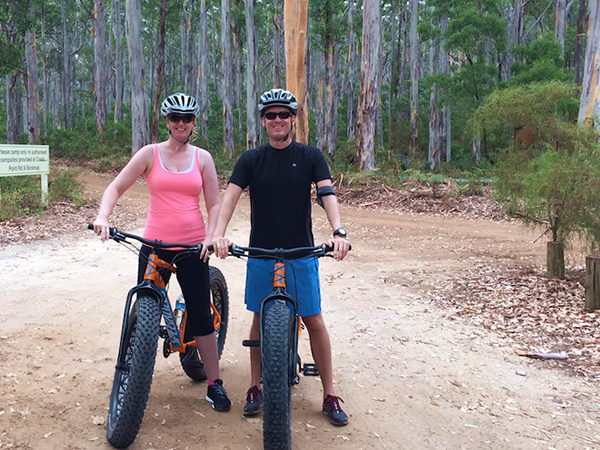 Fatbike Adventure is a 2.5 hr activity. Pick up and drop off in Margaret River included. What you need to bring; You’ll need clothing you feel comfortable riding in, trainers or enclosed shoes. 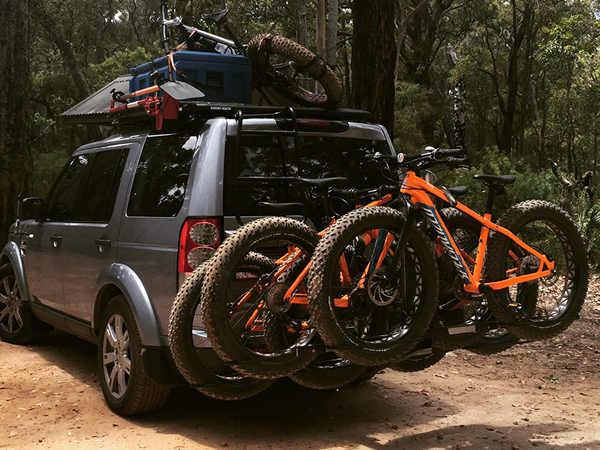 We’ll provide; a top of the line fat bike, a helmet and transport in our luxury 4WD Land Rover Discovery. After pickup we’ll drive to a remote forest location where you’ll be fitted for your fat bike, given a helmet, water and a briefing on riding a fat bike. They’re a bit different from other bikes! You’ll have a brief practice session at beautiful Boranup lookout. You’ll then head off into the forest with your guide and explore the towering Karri trees up close on forest trails. You may see emus, kangaroos and parrots in the forest. You’ll then exit the forest onto the coastal dunes and heath before reaching the Indian Ocean and the spectacular view at Contos beach cliffs. After a short rest and coastal sightseeing you’ll get back on the bikes for the return to the starting point. Fat bike with Capes to Coast Experience Adventure from Capes to Coast on Vimeo.